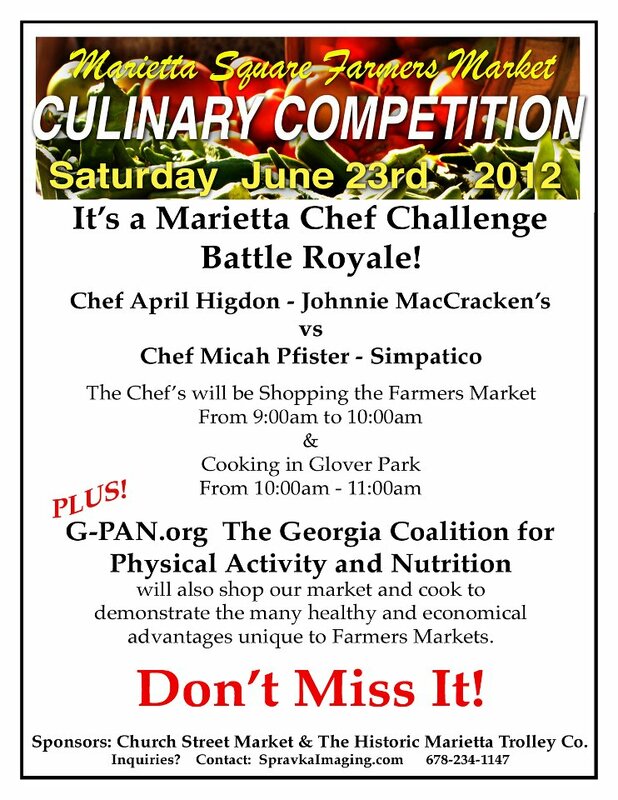 On Saturday June 23rd..that’s tomorrow, I will be judging The Marietta Square Farmers Market Culinary Competition! Two competing chefs will have go head to head in a cook-off challenge where they will have one hour to shop the Farmers Market for ingredients and one hour to cook! In case you’re not familiar with Marietta Square Farmers Market head over here and check it out. With over 50 vendors offering an assortment of produce, baked goods, fresh flowers, the Marietta Square Farmers Market is open every Saturday and Sunday from April to November. So stop by the Farmers Market on Saturday and say hi!